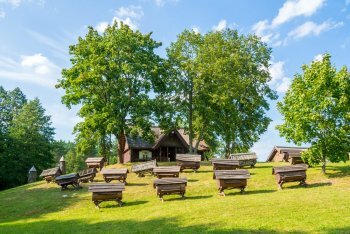 Get the feel of Lithuania’s nature, enjoy tranquility, and experience the country’s history in the ambience of woods, beautiful scenery, rural architecture where nature and architecture complement each other. 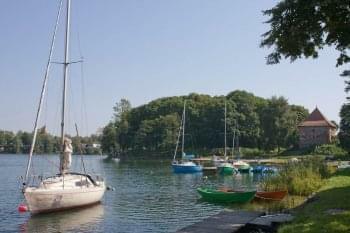 Both, East and South Lithuania, are famous for its lakes and untamed, natural forests, authentic villages, impressive Lithuanian history and friendly locals. Day 2: Full day trip to Aukstaitija National Park. 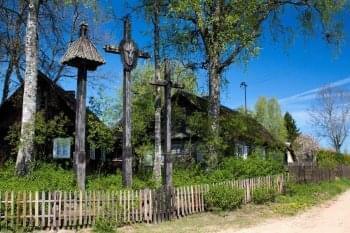 Day 3: Excursion to Trakai and afternoon visit to Kernave. Day 4: Trip to Dzukija National Park. Free evening. 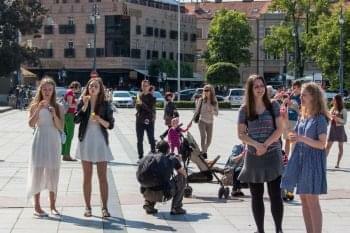 Day 5: Morning tour to European Sculpture Park and a free afternoon in Vilnius. Day 1: Arrival to Vilnius and transfer to the hotel. Afternoon city tour of Vilnius shows major attractions of the Old Town: Vilnius Cathedral, St. Anne’s Church, Gate of Dawn with its miraculous icon of The Virgin Mary, Vilnius University, and a private Amber Gallery. 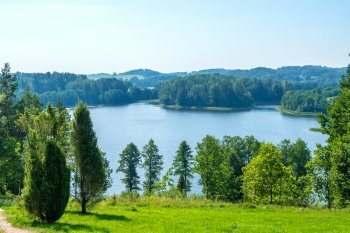 Day 2: Day trip to the Aukstaitija National Park located in the North-East of Vilnius, a region full of lakes, forests and rich wildlife. Visit the 19th century wooden church, ancient ethnographic village of Suminai, a unique bee-keeping museum, enjoy a lovely view of the countryside from Ladakalnis Hill. 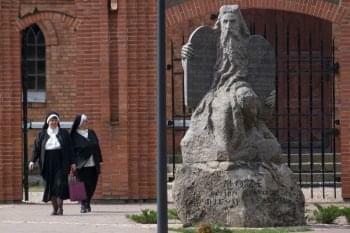 Day 3: Today’s sightseeing shows two ancient capitals of Lithuania. 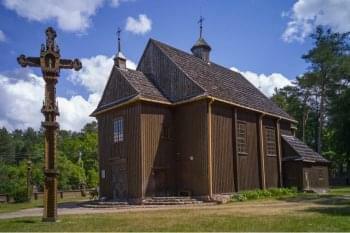 First, we drive to Trakai, a picturesque lake region 28 km from Vilnius and visit the 15th century red-brick Castle on an island, once a residence of Lithuanian Grand Dukes. 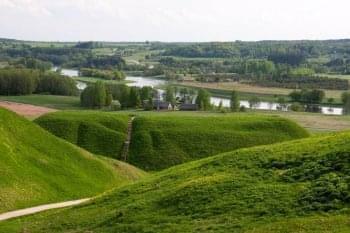 In the afternoon, we continue on to Kernave, an ancient settlement of our forefathers testifying to the country’s 13th-14th century history, now an archeological and historical reserve located in the scenic Pajauta Valley known among the locals as “Lithuanian Troy”. An impressive landscape, rich history, valuable archaeological treasures have put Kernave Archaeological Site on the prestigious UNESCO World Heritage List. 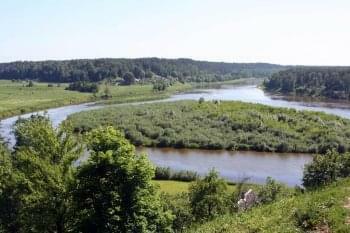 Day 4: Visit to Dzukija National Park, one of the largest parks in Lithuania, located South-East of Vilnius. Zackagiris (Zacka Forest) nature path winds through a picturesque area embracing ethnographic villages that have been declared ethno cultural reserves, landscape reserves, wind-swept sand dunes, the Skroblus Reserve in the conservation zone of the park and Cepkeliai Marsh, the largest wildlife sanctuary in Lithuania. Early evening return to Vilnius. 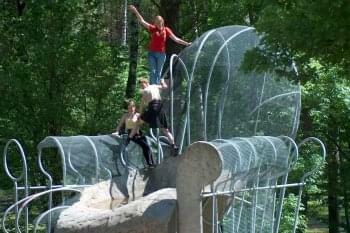 Day 5: Morning tour to the European Sculpture Park located on the outskirts of Vilnius. The outdoor museum exhibits modern sculptures created by artists from Japan, the USA, Ireland, Great Britain, Greece, and many other countries of the world. 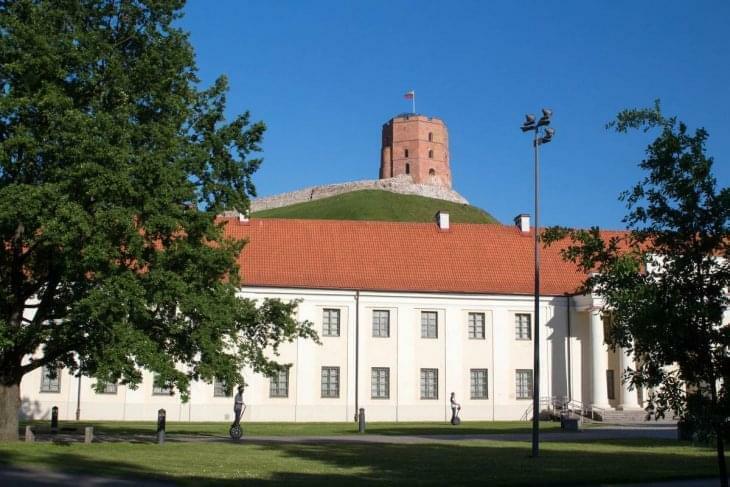 The afternoon is free to explore Vilnius independently, walk in the parks, stroll along the streets of the Old Town, visit cozy courtyards or the many souvenir shops for amber, linen and locally made handicrafts which are inexpensive and will add pleasant mementoes of your visit.